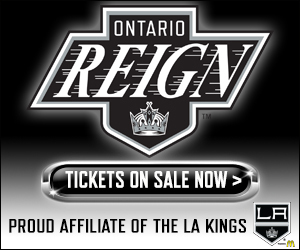 TONIGHT’S MATCHUP: The Ontario Reign conclude their weekend back-to-back set on home ice as they host the San Diego Gulls at Citizens Business Bank Arena. Ontario is coming off of a 5-4 overtime loss last evening against the Stockton Heat, while San Diego fell to 0-2 on the season after their comeback fell short in a 3-2 loss at home to Tucson. WHAT TO WATCH FOR: Tonight’s game is the first edition of the So-Cal Series during the 2018-19 regular season, one of 12 scheduled meetings between the two teams. 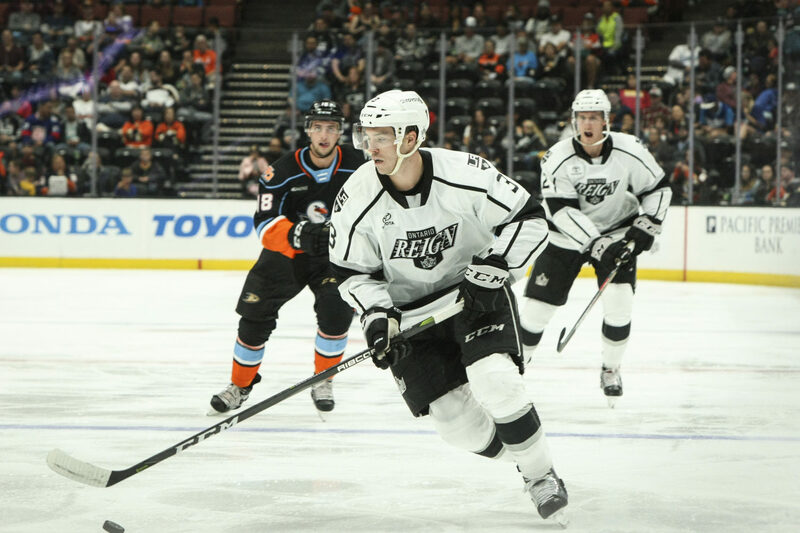 The two rivals met in a pair of preseason games earlier this fall, with the Reign sweeping the home-and-home set. A season ago, Ontario posted a 5-4-2-1 record against San Diego and holds a 15-14-4-3 record all-time against the Gulls, with points in 12 of 18 meetings held at Citizens Business Bank Arena. Cole Kehler was on late today working with Dusty Imoo, expect to see Cal Petersen between the pipes again tonight. Defensemen Chaz Reddekopp and Austin Strand were on late after morning skate – Kyle Bauman, Jamie Devane and Drake Rymsha were on the latest for the forwards but none were run through extra drills – Will keep an eye on the two forwards that may be out tonight. 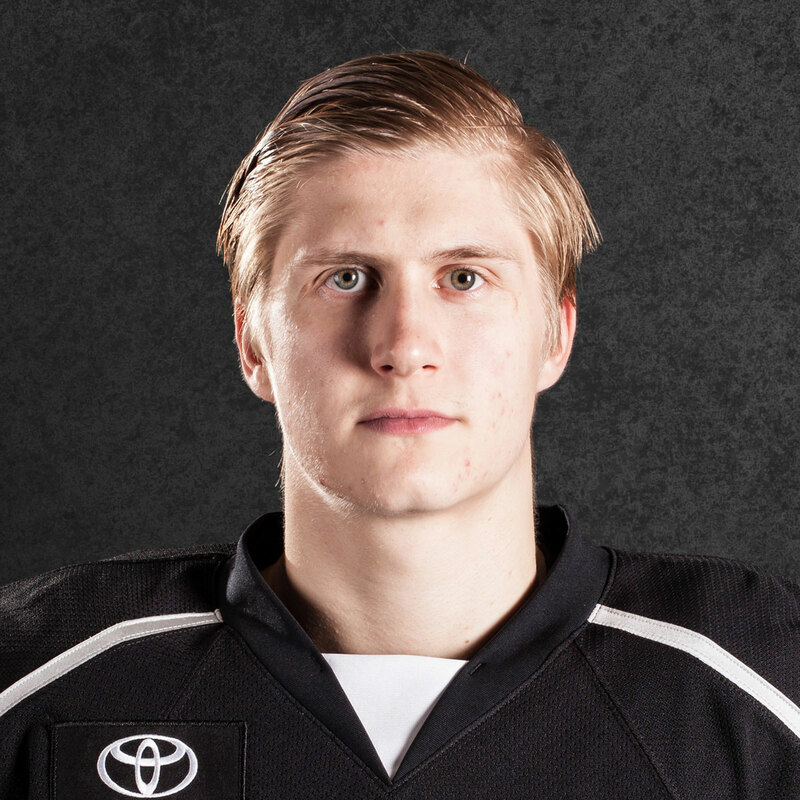 COMING OUT OF HIS SHEL-DON: Ontario forward Sheldon Rempal tallied two goals and an assist in last night’s game. Rempal has now collected a point in each of the Reign’s first three games this season, the only Ontario player to do so. The Clarkson University product leads all Reign skaters with six points (3-3-6) on the season, is tied for the league-lead in total points and is the AHL’s current leader in scoring by a first-year player. 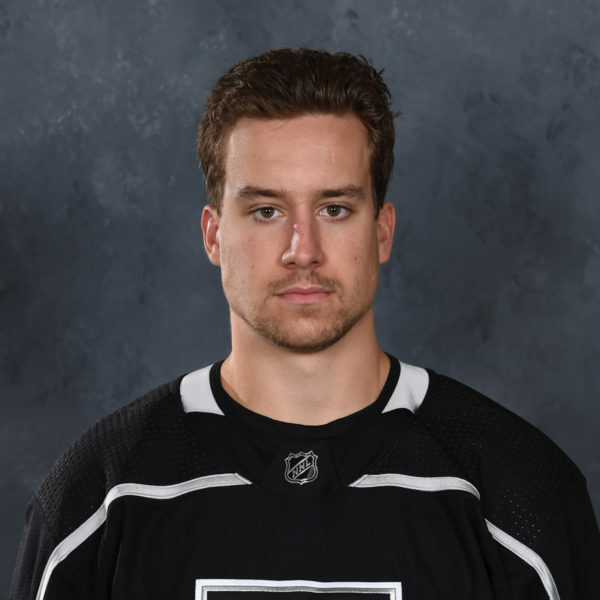 KALE ME MAYBE: Reign blueliner Kale Clague also chipped in with a three-point effort last evening against Stockton, including the first goal of his professional career, a power-play tally in the first period. Clague’s night marked the second straight game that an Ontario defenseman has collected a trio of points, following Kurtis MacDermid’s outing (0-3-3) in Stockton one week ago. Clague is now tied for the AHL lead in both assists (3) and points (4) by a defenseman this season. 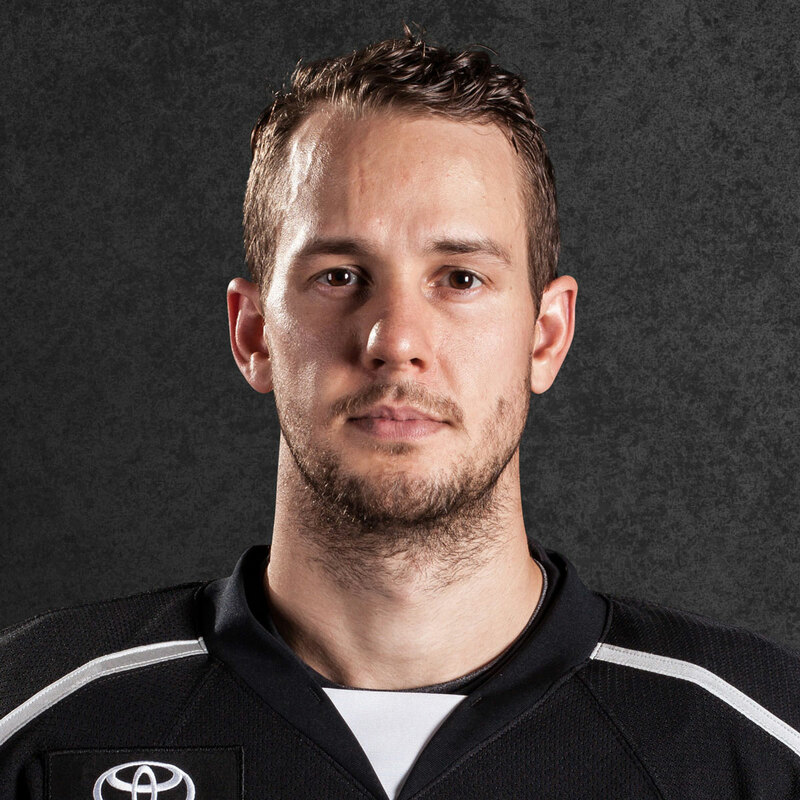 8 MILE-STONE: Ontario forward Brett Sutter is in line to appear in his 750th career AHL regular-season game tonight against San Diego. Sutter has skated in 154 of his 749 games to date with the Ontario Reign and is over 800 career regular-season contests between the NHL and AHL. The veteran forward collected an assist yesterday and now has four points (1-3-4) from three games this season, tied for second on the Reign in total scoring. 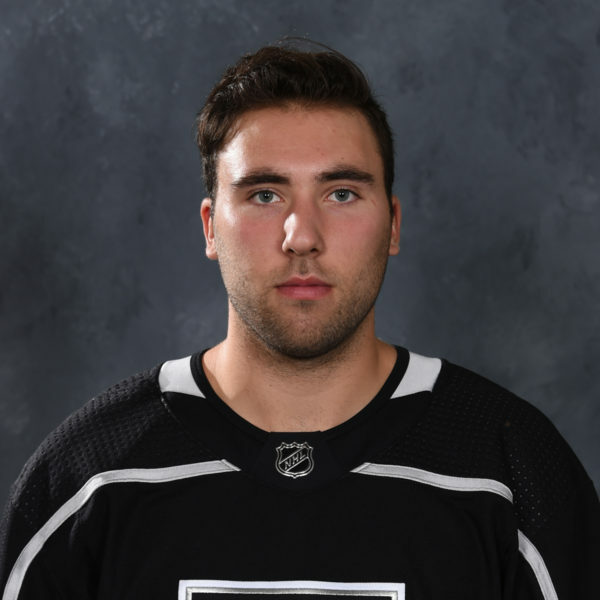 I LOVE YOU MAN, ADVANTAGE: The Reign found the back of the net on the power play for the third straight game, with last night’s tally coming via defenseman Kale Clague. Ontario has gone exactly 1-of-4 in each game they have played during the regular season, good for a 25% clip on the power play. Through three games, the Reign are tied for second in the Pacific Division in power-play percentage and rank tied for third in the Western Conference. BACK-TO-BACKS: Tonight’s game completes the second back-to-back set for the Reign this season. Ontario is currently 1-0-0 in the second-half of back-to-backs, having defeated Stockton in overtime last Saturday evening after falling in San Jose the night before. The Reign went 12-6-2 on the latter half of back-to-backs a season ago and will play 21 sets overall this season, in addition to one three-in-three.